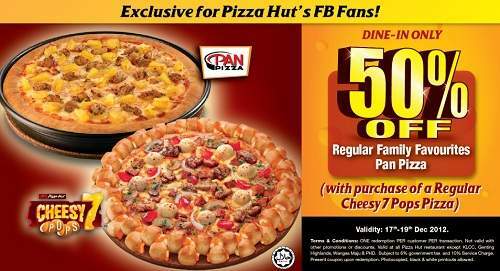 Get 50% OFF Regular Family Favourites Pan Pizza by presenting this coupon upon purchase (with purchase of a Regular Cheesy 7 Pops Pizza)! Dine-in only. Photocopied, black & white printouts accepted.